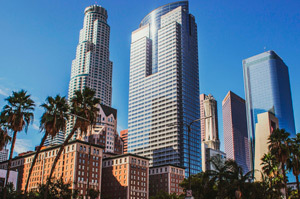 Los Angeles, often called the creative capital of the world, is globally recognized as the center of the American film, television, and music industries; it is also home to year-round sunshine, beaches, and the laid-back and breezy California disposition. Angelenos know the importance of good food, good fitness, and a good time. They work hard and are not afraid to reward themselves for their efforts! Recruiting and retaining well-trained, experienced, and discreet domestic staff is a key element in the maintenance of such unconventional, glamorous lifestyles. To help achieve their exceptional goals, both at home and in their careers, many of Los Angeles’s elite rely on Pavillion Agency as a one-stop shop for their household staffing solutions. Our agency offers job placement services (permanent, temporary, or temp-to-perm), payroll processing, benefits consultation, and in-home staff training. Let us show you the Pavillion Agency difference!